A stylish property situated near many famous eateries. 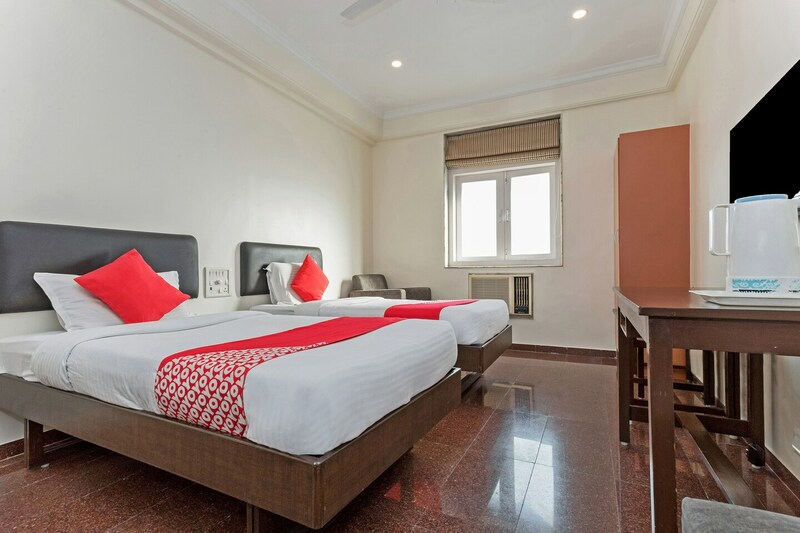 Welcome Hotel has made its presence in the proximity and it offers a fine stay experience to the visitors. The rooms are bright and spacious with natural light streaming in from the windows. The property offers all the modern amenities. Free Wi-Fi is also present so that you dont miss binging on your favourite Netflix shows. Facilities like laundry service and elevator are also offered for your convenience. CCTV cameras are installed across the hotel for a safe and secure stay. You can spend your time shopping in Fort and Colaba. Head to Marine Drive or Colaba Causeway and watch Arabian Sea dance around if you are looking for a romantic spot to unwind your day.